If cleaning the oven is your idea of domestic hell, help is at hand. Dublin-based Cleanoven caters for those who love cooking but loathe cleaning. A professionally spring-cleaned cooker is a great present for an enthusiatic home chef or a busy parent reluctant to face this hellish chore. Its is available in Dublin, Wicklow, Kildare and Meath. 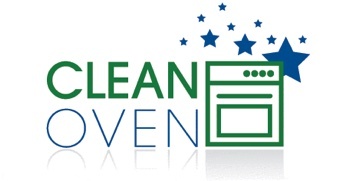 Cleanoven usually take about 90 minutes to do the job, and uses non-caustic and eco-friendly products. Its costs from €70. It also cleans barbecues, hobs, extractors and ranges. Contact Eimear at 086-8299066 or 01-4588885, or see cleanoven.ie. What a great company – thanks for not just the clean, the whole service from start to finish was impeccable! Thank You – I am really delighted, what a fantastic result. Thank you – you have made my oven beautiful – very nice people. A really nice company, lovely people to deal with, amazing result – Thank you!! Brilliant ! Best money ever spent !!! I was going to throw this oven out and buy a new one but thought maybe I should try have it cleaned — Its fabulous I am soo glad I made the calll and you have saved me a lot of money!! You have another fan here – thank you, got to go and call my friends about this!! Excellent Service, Spotless oven – helpful and professional people. Great to see a great service, reliable people and amazing results, I shall recommend you to all my friends – thank you. Wow – amazed !! In under two hours, what was a filthy oven was transformed back into a new oven, Thanks soo much.